YES. I want to be a prisoner of hope. YES. Bound to the one who can heal all wounds. Today I was reminded that God doesn't take us around pain, rather he takes us right through it. For if we mourn, we are comforted, if we are poor in spirit he will lift us up. Jesus is with us and I choose to be captivated by him and his redemption on earth. Thank you for the reminder of hope and YES today. Your book and your blog posts are such a blessing to read. God has created such a beautiful family. You are in my prayers. Definitely in prayer for your little girl. Any time we take the leap to adopt those who are fatherless and hurting, we agree to discover all the pain that the world can cause. Praise the Lord for His grace and His mercy. Praise Him that He can heal when we are powerless. My family wants to adopt too and we are already praying for the children we will bring into our home. Thank you for sharing your heart here and such an encouraging word. Oh Lord, make your people a prisoner of Your hope! Yes yes yes! Thank you, Katie for this post. It really encouraged me. Praise God for the work He is doing in your life and how He is using you in other's lives. I see by the clock on the website it is time for you and your children to lay down and rest. I pray that all of you have sweet dreams tonight. Sweet dreams that bring you HIS PEACE in the morning. I pray that in the morning you awake with bright eyes, a smile and feel HIS love in your hearts. Sweet Dreams Katie. Thank you from a foster and adoptive mom in CA. Katie you are truly a woman after God's own heart. You remind me of His love and forgiveness. Thank you for letting Him live through you. Katie, you are amazing and such an inspiration to our family! Beautiful. As always. Thank you, Dear Katie and Thank You, Dear God! Absolutely beautiful! Thanks Katie for sharing these stories with us! I read your book and couldn't put it down! I cried through so many chapters and laughed through beautiful stories of God's grace and mercy! Thanks for letting us hear those stories! God has gifted you, not only with a mommy's heart, but also with an unusual way with words. But I think the best gift may be the way He uses your trials and those of your girls to reach others. It's good to be reminded that Satan is the one who comes to us with coulda, shoulda, etc. And it's good, although it goes against the grain of the world, to be imprisoned by hope. Praying for a little girl in red tennis shoes and for the hands that make the necklace I received in the mail today. All beautiful. You are an inspiration. You are an abiding mother. Thank you so much for your encouragement as a obedient mother of God. "Jesus comes to us in the distressing disguise of the poor" said Mother Teresa. "Love looks like 'something'", said Heidi Baker. Katie, your love looks like going low, serving low and staying low because you know that that is where Jesus is. Thank you for sharing your heart with all. Prisoners of hope. How beautiful, and necessary to remember. Your words penetrate deeply...prisoner of Hope...I am taking that with me...may it be tattooed on my heart...if I ever get a tattoo...i think that is what I want to get...a consent reminder...that is what I am to be...prisoner of Hope...a captive of the Great I Am...the God of yes and amen. I pray daily for you...God had knit a place in my heart to carry you and your family. So beautiful. Thank you Katie. To be locked in the Father's arms forever, prisoners of His love. My love to you and your precious jewels, who are the glory of His creation. God bless you and the work God is doing in and through you! I just finished your book. It was convicting and grew me so much! What you are doing is what we are all called to do, whether in Uganda or here in the states. I am so encouraged by your love for our Father! I praise God for giving you words to speak and a heart to love as you do! Praying for you in San Diego! Thank you for this post. I can feel your struggles...and your joy through them so clearly! While I can't relate to your environment, I sure can relate to your emotions. God's blessings to you, Katie, and your children! Visited your ministry today. It's truly amazing, as our God is truly amazing. Thanking God for His work through you in the country that has my heart. Beautiful, as always. Thank you for sharing your heart even in the hard stuff. Thank you so much for writing Katie Davis, I can't explain how much you have inspired me. You are a beautiful woman and a beautiful soul. My prayers are so often focused upon you and your service in Uganda. God Bless! Thank you for this. I needed it. I too have lost sight of what I am captive of. I needed to be reminded that it is Hope. Oh how I needed to read this today! Thank you so much for reminding me to keep my focus on "the yes" and not on the fear that tries to overtake my peace. I too am a prisoner of hope. A beautiful post. I too want to be a "prisoner of hope". I felt your heart as I read this. What a testimony you are the faithfulness of our great God. May the Lord continue to bless you with the strength, wisdom and good health to go forward. You are a treasure! Lovely & moving as always. Praying for you & your family. Thanks for the encouraging word Katie. My friends and I pray for your family often. Thank you for opening up your heart and life to us. I too want to be a prisoner of hope. Wow oh wow! This is sooo good and I loved every minute of reading it. You are a blessing and an inspiration! Praying sweet prayers of hope and blessing over you now. God bless you, girl! Holy, Almighty, Glorious Eternal Father in heaven, I come humbly before YOU in the Name of Jesus Christ the Son, through and by the Holy Spirit to bring before you Miss Katie and her beloved daughters. As she openly shares her life I pray for YOUR Presence to guide, protect, heal, direct, and love her and her girls and the Amazima team as they seek to serve You and to bring You glory and honor and praise. Protect them from harm and evil. Continue to use and bless them to further Your kingdom and to proclaim the Name of Jesus!. . . not only in Uganda, but throughout the world. Katie writes of being a prisoner of hope; yet she is a prisoner of the Lord, Jesus Christ, and since her hope is in the Lord, her eternal life will be FREE!! I've missed you and worried and prayed for you all since the news of Uganda ebola. However, you've been in another dark battle. God is faithful. He will deliver you and your precious children. For the children of God, Romans 8:28. In the end, it's alright. If it's not alright, then it's not the end yet. God is love. Love. That's what you're called to. Blessed be the Lord God ALMIGHTY, who doeth all things well! Bless your heart, Katie, and hers. Such wonderfully true words...I shift my focus and become a prisoner to the panic instead of the promise, and still He says, “mine.” He looks at me, broken, and calls me daughter and ever so lovingly pulls me right back in. Prisoners of hope...praise the mighty name of Jesus. Praying for you and your precious girl tonight. I've been missing your posts and was very thankful tonight when I got home from work to see this message. thank you. thank you. thank you. i am have been given a huge painful burden to carry and God used your blog to burn living truth in my heart, searing it with his Love. Thank you. Hope does not disappoint! May God continue to provide all you need to live your life and mother in Uganda. You are an inspiration to me and many others. I needed this tonight for my own relationship with my daughter who came with her own scars. Thank you. I love reading your posts. I have been thinking a lot lately about the importance of hope too. Sometimes keeping our eyes on Jesus instead of on the storm is hard to do, but every time I look to Him, He makes the sorrows seem to fade away. Have you read the book "Heaven" by Randy Alcorn. It is such a great reminder about the wonderful future God has planned for His children. I love watching God move and heal. So thankful that HE is always there. Praying for you and your sweet daughters today! I find such encouragement from your posts. Encouragement in my walk with God and encouragement for our service to him. Thank you for the openness with which you share your heart with your family and the world. Your descriptions of your experiences, memories, fears, hopes, and love are all ways you continue to bless others in all that you do. Thank you for sharing your heart with us and letting us share in your journey. SO powerful and SO true. So powerful and so true!!! His love never ceases to amaze me. Yes, I want to be a prisoner of hope too. Your words inspires me. Our God... He a truly a keeper of promises. Thank you for being so transparent about your struggles and love for Christ. Your life is an encouraging testament to how glorious and great our God is! What you are doing is amazing! Praise Jesus that you said YES!!! We just finished reading your book aloud as a family and we were all touched by it. Now it is spreading through my extended family like wildfire! Thank you! Thank you for sharing your heart and for your openness and honesty. As a missionary in the Dominican Republic, I have been so encouraged by your words. This week in particular Isaiah 61 has been in the forefront of my mind and the incredible thought of "setting the captives free." Thank you for sharing that beautiful story and praise the Lord for this precious girl! You are in my prayers. To hear your words from the depth of your soul, stirs my heart to know Jesus deeper. After 32 years of being a Christian, I feel I have just scratched the surface of His infinite love. Your book and your blog have stirred my heart in such a powerful way and I am so thankful for that. God bless you and your wonderful family. Sincerely, Pat. Katie, this is a story that all of us share in some form or another-the brokenness of our past and the temptation to focus on the hurt. I so enjoyed hearing what passages and methods help you remain a "prisoner of hope"
Oh Katie, thank you for so eloquently writing what my heart, mind, and flesh battle each day for my son. We love you, your girls, and all the lives you have and will touch. He IS answering prayers to break our hearts for what breaks HIS. So shall it be- On Earth as it is in Heaven. Praise the Lord, o my soul and all that is within me, praise His holy name!!!! You sweet blessed girl, the truth just comes pouring out of you and it convicts us all. We love you and thank God for you! Sometimes it seems easier to resist hope, to resist comfort, to resist Him. But in the end, we are His. And then we realize it would have been easier all along if we'd just given all our struggles up to Him in the first place. Powerful writing. Thanks for sharing. Hi! I’m a college student named Weston and I honestly have no clue how to contact you or get a hold of you, so I figured I’d just comment on your blog and hope for a reply. I’ve been struggling against God and his call for about the last 6 months or so, but I am surrendering to the Father’s plan. I just finished your book moments ago and the still small Voice that has whispered to me since February of this year was confirmed. I’d love to tell you so much more about it and get as much information as I can from you, so please email me at wesenc5@gmail.com. God bless you, your daughters and your ministry. Katie, I pray that God will bless you and your daughters, pouring out His love and peace and mercy and zeal all over you. Thank you, Katie, for inspiring me to seek the best for people, no matter the consequence. Our Jesus will hold you tight in his arms, forever and for always. I pray that we will forever be prisoners of hope. Don't live life in fear. But don't forget why you're here. Thank God for each day. His love will find a way. These are the words I would say." "Words I Would Say" by Sidewalk Prophets. Katie, thanks for writing of your struggles. My wife and I arrived in Kampala on Tuesday night in the hopes of adopting two beautiful little children. We had our first court date on Friday and things did not go well. I'm trying to remember that God has a plan and his plan is better than mine. It's a hard reality sometimes though. So, thank you for writing of your bad times and good times. They remind me to have hope and trust in our awesome God. Thank you for your transparency Katie. Jesus is so evident in you. May He he continue to captivate you in HOPE. All my love to yourself and your beautiful girls. i had to call my friend to inquire about a paper bead necklace i received from her 2 Christmases ago. She confirmed that is was indeed one of the ones made by your ladies in Masese. so glad i can continue to follow your journey on here. looking into ways i can help with your ministry. you will forever be in my thoughts and prayers. I want to say thank you. Reading this reminds me of the truth in the calling of being a follower of Jesus. I'm a 21 year old single woman, and in November I will be a foster mother to many young, broken girls who need the love that I can't give them. I recently read your book, and I am amazed how much of the things you went through at the beginning of your journey I am going through now. This post was a reminder of who I am and who I belong to, and the same for the little girls that will walk through my door. Thank you! WOW!!! ... Thanks Katie for putting things back in place. Focus on the promise and not on the panic. Beautifully spoken. Thanks for sharing.You Inspire all who read your posts. Prayers for you and your family. I just finished reading your book and was truly inspired. I am teaching a womens BS in 2 weeks on the passage in John 13 where Jesus washes his disciples feet as an example for us to serve others. As Jesus is our ultimate example, I am also going to share your story. I found a 4 minute video clip that I will show and also purchased some beads from Amazima Ministries to display and tell the story behind this ministry. Thank you for taking part in being the "hands and feet of Jesus" to this country. All Glory to Him! Oh I know how your heart aches! It took 8 years for my "wounded one" to want to hold my hand. I the great news is if you hold firm to Jesus, he holds you through it. Wonderfully honest post about adoption! Katie, not only do I thank God daily for YOU, but I also thank Him for your ability to help all of us FEEL. It is a blessing to be able to read your blog and to feel God's presence all at the same time! I just got finished reading your book and wanted to find out what you were up to these days! I am so thankful for your heart, for your ministry, and for your willingness to trust God no matter what. He is definitely using you in powerful ways through your obedience. Thank you for being transparent. I am praying for you! I really should stop reading your blog while I'm at work. I end up teary-eyed and snotty every time. Thank you for allowing God to use you to speak to others. This is what Christian community should look like, worlds away in so many aspects, yet infinitely connected in all the ways that matter. I look forward to meeting you and your girls someday, in this life or the next. I just wanted to say thank you so much for sharing your life and heart through your book and blog! I know it may be hard at times, knowing that your life has been made so public, but please know that reading of your passionate, poured-out lifestyle, has inspired me to lay down my selfish ideas of what I wanted in life, and ask my Lord what I can do in this short life to serve and glorify Him. Thanks again for pointing me to a deeper relationship with the King of Kings than I've ever had before. God bless! as night has fallen here in the US God is using your blog to remind me of who He is and who He calls me to be. It was just what i needed - like He always gives us what we need. Have a blessed day! Katie, I just finished reading your book - amazing. I hope you don't mind but I put a couple of excerpts from your book on my blog. All my friends will be getting bead necklaces this year for Christmas. God bless you for all you do. There is such sweet beauty in YES. Praise God! Thank you for sharing. Tears flow, for this truth touches me deeply-straight to the heart. Just love her. God impressed upon me those very words about my own adopted daughter. It is truly difficult to sustain this love and pour it out to others - albeit, impossible, without the love of the Father flowing through us. I've read your book and I don't have the words to describe how much its touched me in an emotional and spiritual way. You are a blessing Katie, for those children and for people like me so far away and yet so closely connected to your service through our Lord Jesus Christ! God Bless I pray everyday for the success of your ministry. ;) I love the verses you referred to in this post! They are verses I feel God has put into my life for a reason. I hope to have a ministry someday, based off of those verses in Isaiah! Thank you for the encouragment, I will be keeping you in my prayers! Thank you for sharing this...love to you all! I am super inspired by your blog. It is a blessing to read how God is using you in Uganda and how you have shaped a life and a family there. . . I would L O V E to hear from you to figure something out if possible! Hi Katie, thank you for clarifying on CYCB, and I'm sorry about the misunderstanding. I try and find info on the blogs before I post, but I wasn't really sure of the exact nature of your work. Katie, it is such a blessing to read this and your previous posts as well. I really look up to you because once I graduate college, I plan to step onto the mission field in Belarus working with orphans. I have felt God calling me to do so since I was 15 years old. At that time I was completely excited, bold, and unafraid, but now at 20 all to often I do what you talk about in this post. I become a prisoner to panic rather than to the promise. I lose focus. I get worried and discouraged. I focus on what I see rather than trusting in God's sovereignty and His promises. Reading this reminded me that while no, I don't have what it takes and I am not enough and never will be, He is absolutely more than enough. He is greater than the circumstances that I can see with my eyes. He is mighty and He is more than capable of taking my lack/inability and using it for His will to be done and for His glory alone. I need to be a prisoner of hope rather than a prisoner of panic. Thank you so much for posting such a beautiful reminder of that truth. I am praying for you and your precious daughters. I have just finished reading your book on Kindle. How convicting and humbling. My health is poor but I am looking for new ways to love unselfishly as you are trying to do. God bless you and your family for the work you do! Katie, I praise God for your rare obedience, and for the mercy and miracles he lavishes on us without end when we obey. I just finished your book. It is completely refreshing to "meet" someone who is unapologetic about taking up your cross, suffering with Christ and trusting God for everything. And, of course, being wholly His, experiencing the absolute fullness of the riches He created us for. Way to go, girl. I pray He will humble me and use me even just a fraction of the way He has worked through you. Keep up the good work! You're right, none of us can do enough, not even you. It's so hard to imagine He would want more "Yes" from you of all people. But He does! Not perfect, just yes. Paul's advice not to marry seems to make so much sense when I look at your life. You don't have to discuss with anyone else when it's okay to say yes to God again. The only opinion and will you need to work with is God's! You are blessed in so many ways. See you on the other side, Sister! Katie, I praise God for your rare obedience, and for the mercy and miracles he has lavished on you without end because you obey. I just finished your book. It is completely refreshing to "meet" someone who is unapologetic about taking up your cross, suffering with Christ and trusting God for everything. I loved the part of your book where you talk about our not wanting to give "too much" because we want to make sure we have enough ourselves. What good Americans we are. I have asked others whether retirement funds, long-term care insurance, even college accounts, aren't a way of not trusting God - building bigger barns - instead of sharing our extra with those in need. Everyone finds a very convincing (deceiving) way to refute the idea. But being wholly His and relying only on Him, you experience the absolute fullness of the riches He created us for. Way to go, girl. I pray He will humble me and use me even just a fraction of the way He has worked through you. You're right, none of us can do enough, not even you. It's so hard to imagine He would want more "Yes" from you of all people. But He does! Not perfect, just yes. Paul's advice not to marry seems to make so much sense when I look at your life. You don't have to discuss with anyone else when it's okay to say yes to God again. The only opinion and will you need to work with is God's! You are blessed in so many ways. You have perfect intimacy with the Lord, your true husband. See you on the other side, Sister. I can't wait to meet you and your girls in person and hear more stories of how awesome our Savior is! From a fellow prisoner of hope who spends most of her time wiping counters, making meals and folding laundry and loving and hugging every step of the day. The power of the mundane is that it says you can trust me, I love you, I will provide for you and I will stay right here for you. Doing the mundane with all of your heart and all of your soul is marvelous and wonderful and worthy of prasie. Keep doing Gods work. I pray for you, your girls and your work and the beautiful people of Uganda. Amen! What a GREAT testimony for our Lord Jesus Christ! Heard you on Dave Ramsey today. Thank you for giving your life to serve God and Uganda. You have a beautiful heart and a wonderful ministry! God bless. I look on this blog, and on your story, and see one thing: JESUS. Thank you for accepting the heart God has put in you for these children. Not everyone follows God's Spirit so freely; this day, I pray I will be one that does. Heard you on Dave Ramsey. You are amazing! What a gifted writer. Christ is the only source of true peace. Thank you for your words and your work. I've never thought about it that way before, but YES! A prisoner of Hope. You are doing something that I have always wanted to do, but God told me to have a family and focus on them right now, and hold on to those dreams for later. He knows what I can become more than I do, so I'll trust my life to him. Maybe my children will be the ones who reach out in my stead. This would make me so happy, as I know that it has made your Father in Heaven happy that you reached out to his children in need. There are so many ways that we can be His hands--I love it when I hear of or meet someone who is trying to follow the Savior and his plan for them. Thank you for your life! Well, I have never read your blog before, but I will now! What a gift God has blessed you with to write in such a way as to touch hearts many, many miles away with the richness and goodness of His love and grace. I was mesmerized reading older posts and could probably sit here all night, but my family needs me too. Right you are, we all need to be prisoners of hope. Thank you, Miss Katie, for heeding God's call on your life and sharing it so beautifully and humbly with the world. My husband keeps asking if I've secretly taken a job with your publisher, because of how often I recommend your book to people ;-) Thank you for your service and honesty! It is so needed in this broken world. I'm so excited to see you were on Dave Ramsey's show yesterday... can't wait to look it up in the archives! Dear Jesus, Please watch over Katie and her family. Be their Shepherd: strong, alert and loving. I have been praying to adopt an orphan, but we cannot afford the adoption expenses (about $25,000). Pray with me that God will provide the money, so we can add another girl to the the 5 we already have. There's plenty of room and an abundance of love in our big old house! So so good to read! God always uses your blog to encourage me..thanks for sharing what He is doing and what is true and letting us praise Him with you! Hello,Katie. I finished reading your book yesterday. It was very,very special and touching.. Thank u for giving me a great blessing thru it. I'll remember u and your children in the rest of my life. I have felt lead to pray for you and your girls most days. With love to my sister I have never meant, and am hopeful to meet in eternity. Take care of you and your little ones, stay strong in the faith. Any encouraging words as a mother when things get busy? You are in my prayers! Jesus will always full you with His peace and love! You are awesome! I have a light but practical question. What do you cook for all of your meals? Do you have a schedule? I assume you have to be really organized out of necessity...also what would your ideal daily schedule look like? I say ideal because we all know that is usually close to impossible. Like Israel, like us, the story continues we are all in constant need of the grace and mercy of God. God teach us how to love. Famous Snapback Hats. thank you for visiting some of our web-site :http://www.wholesalehatsandcaps.com. A few weeks ago I was invited to a house warming. At the party there was a woman with beads. She told the story of the beads being sold to help women in Uganda make a better life. I had not heard of the beads or the book until this point. The very next week a kind woman handed me the book at church and said I should read this. I too am an adoptive Mama and just returned from China with our 6th blessing. You see I get all the same comments, questions and strange looks and frankly they were beginning to make me wonder about my sanity. Did I really choose to get all my kids in school and then go adopt a one year old? I must have been crazy. But, after reading your book it blessed me beyond words. I have a whole new vigor for what I do, I have a whole new perspective on my blessings, I have a whole new appreciation for my life and my purpose on this earth. And for that I am completely in your debt. 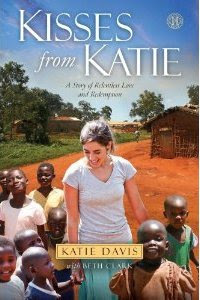 Katie, I hope you understand the impact you have made not only on those you have reached there in Uganda, but also in the lives of those who have read your book. I am amazed by your faithfullness and strength and I thank you for sharing details of your journey with us. I pray for you and your children and for the other lives you fight so diligently to comfort and help. God bless you, my dear. The Lord is healing just like He is redeeming. His love is the medicine. His presence the way. "I am the way.."
Thank you, Katie, for being you and true to Jesus. I was very challenged by your book and I won't forget it, quickly. I say, "Yes, Lord." Katie, I am using your video in teaching my middle school sunday school class tomorrow. We have been studying missionaries and evangelism. I am showing them how young you were when you completely immersed yourself in giving. Such an inspiration. We will pray for you! THANK YOU FOR FOLLOWING AND SPEAKING TRUE TRUTH THAT SPEAKS TO THE HEART AND SOUL OF THE ISSUES WE ALL FACE. We all have not been loved fully by those we trust and what a joy to know that there is One who is to be trusted. This is the central issue facing us all. Who to trust. You bring us back to the One who loves us so much again and again no matter what. Continue to assure your children of God's continued love and as they believe and understand it, they will heal. I pray for your steadfast and unmoveable faith in Jesus and all that he has done for you and those you minister to daily. Hold fast. Keep the faith. Thank you for everything you do in my beautiful Africa. I hope to meet you one day. Your book is beautiful and inspiring and we pray for you and the beautiful children you love. Jesus has very lovingly and gently convicted me about my clothes. He's told me, "Too short, too low, and too tight." And I'm 53 and should have known better, right? Katie, have you prayed about your clothing styles? Would you put it before Jesus? Sometimes our dress blocks our message to a much more conservative world. U.S. Christians have no problem with how Christians dress, but others throughout the world do. And your ministry is watched throughout the world. Just started your book yesterday, I cried on the first few pages only because I realized how much I have, and how little they have. It really brings joy to my heart to know how much you have changed their life. i blogged about this same thing a few weeks ago! you are an inspiration, Katie, because of how you let His light utterly radiate from you! praying for you & praising the Lord for you! Katie, I just finished your book. I loved it! I am also from Tennessee. I went on a missiin trip in 2011 to Belize and enjoyed that so much. God works in mysterious ways. Before I committed to go I felt God telling me children go where I send thee and knew I had to go at that time. He knew i wouldn't be able to go in 2012 because of my mom & sister being very sick. I am having to help homeschool my two nieces while their mother is in the hospital fighting for her life. I admire everything you are doing. God bless you!! ling heart to allow us to learn through your journey with Christ. It is an honor. Just finished reading your book (after having read your entire blog from beginning to end)... so blessed! On more than one occasion have your posts brought tears to my eyes and a sharp pang to my heart as He breaks it for His children all over again. You have forever impacted my life, not because of your greatness, but because of your brokenness in serving Him. Because you serve Him in your insufficiency I know that I also can be used by Him. Thank you for your testimony. I want to serve overseas more than anything--so badly--and am following Him now in obedience to rid myself of debt. Today, though, even reading your book, I felt so discouraged--like I will never get to my own beloved country (China). Do you think He can use people who have come from less successful backgrounds than yours to do His will? I so hope so ... I want Him to use me ... but I am afraid that it may never happen. I am going now to ask Him to make me a prisoner of hope, and to also be content where He has placed me for now, though my desire for another place may haunt me daily. As our family of eight children begin to mourn the recent loss of their young father, my amazing husband, your word are like a soothing balm. For that hope and love because of our faith in Christ will carry us forward. May you find peace as you continue to bless those dear ones. There is so much of profound importance in this post. The issue of "letting" God love you. The "problem of pain"--trying to accept what He "allows" or seemingly allows. And the insidious tendency to let one's gaze shift from where it should be, which is on Him; this can happen to one without their even realizing it, then they're lost in the worry, and it's too late--unless something happens to come along to make them realize they're living in the worry full-time. Two quotations help me with this dilemma. First, "We have to pray with our eyes on God, not on the difficulties." ~Oswald Chambers...Secondly, "Put your expectations on God, not on people." And last but not least, I love how you express that you are moved to love your daughter MORE, when technically you could love her less, due to the struggle and difficulty that is present. This is truly a moving portrait of Unconditional Love. I'm reminded of a poem by David Ignatow. It would seem he might have written the poem about marriage, but I think it can apply to any relationship. I'll put back-slashes between the lines since I can't indent in this comment field ☺.......Standing beside you/I took an oath/to make your life simpler/by complicating mine/and what I always thought/would happen did:/I was lifted up in joy. (*Not that what you do is merely making people's lives "simpler." Obviously, it's much more than that.) Bless you Katie!